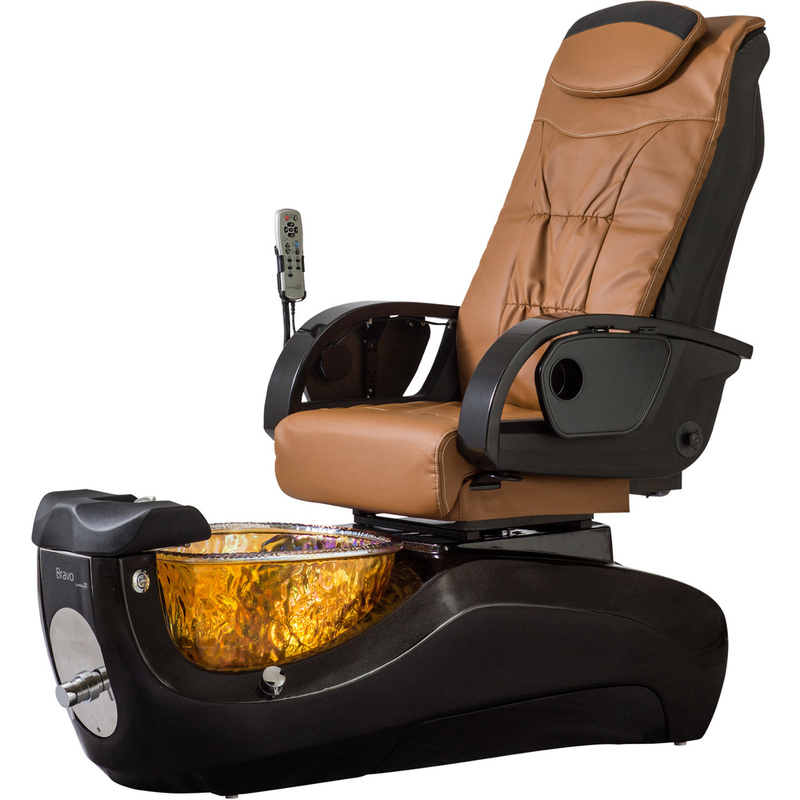 The Bravo is an incredibly comfortable and well-designed pedicure spa. Its sleek style and skillful craftsmanship make the Bravo an extraordinary value. 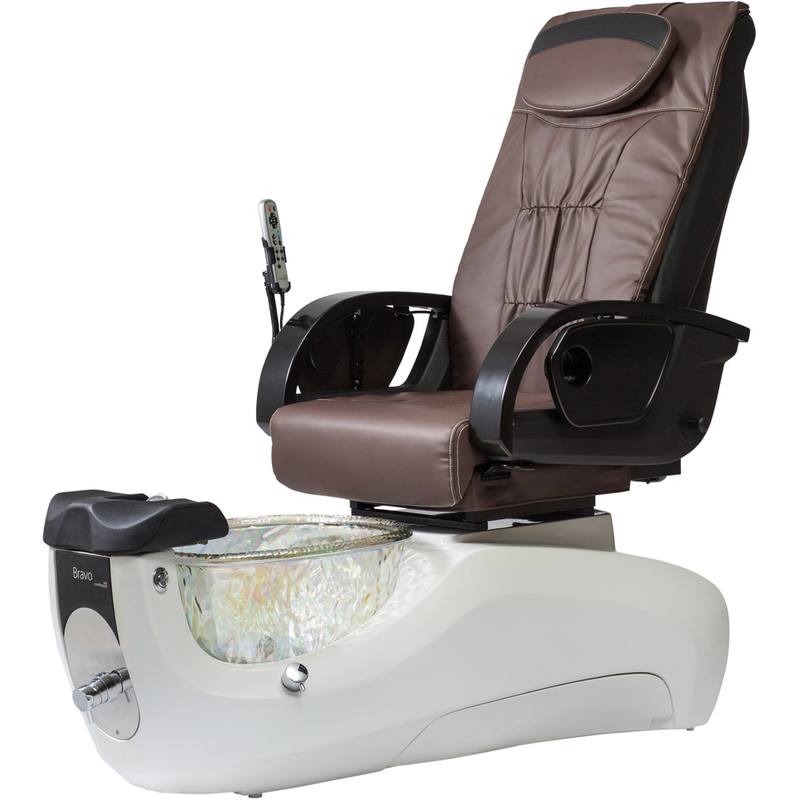 The LE (Luxury Edition) chair has a full (rolling, kneading, tapping and knocking) deep-tissue shiatsu back massage that clients can personalize with its easily operated hand control. Acetone resistant manicure trays and convenient dual pivoting arms add elements of quality and convenience. 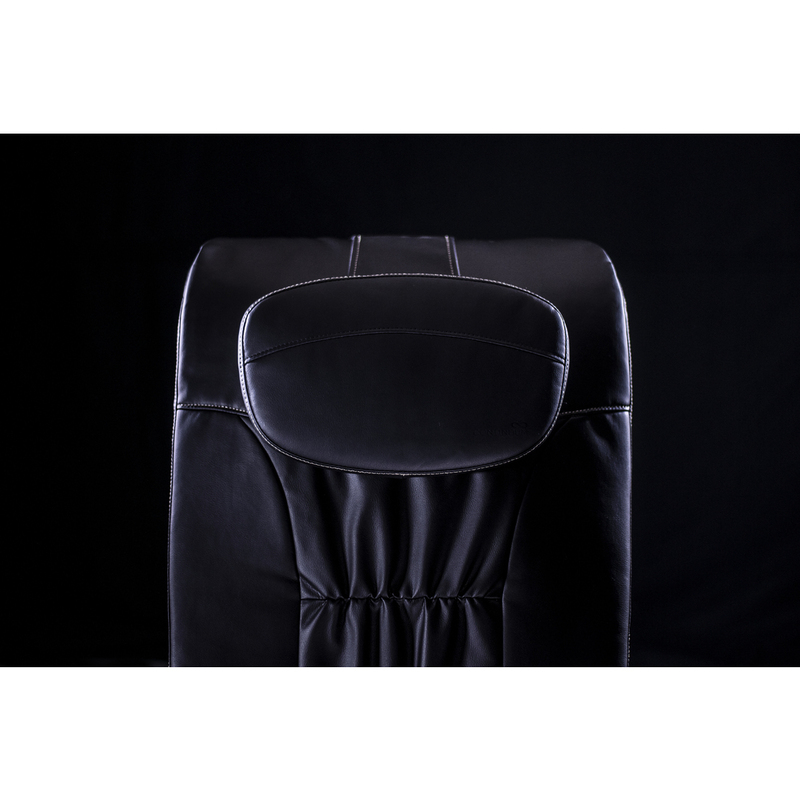 Premium ultra-leather, molded arms and commercial-grade massage mechanism are also some of the upgraded features of the LE chair. No more tired and sore arms from holding the clients leg up during the pedicure! This unique one-piece design pivots to 30 and 90 degrees ensuring total comfort for client and tech. Whether you are massaging the calf, working on the heel or paining toenails, the foot is perfectly positioned throughout the entire pedicure. Available in several eye-catching colors, the tempered glass basin is ¾" thick and resistant to cracks and stains. 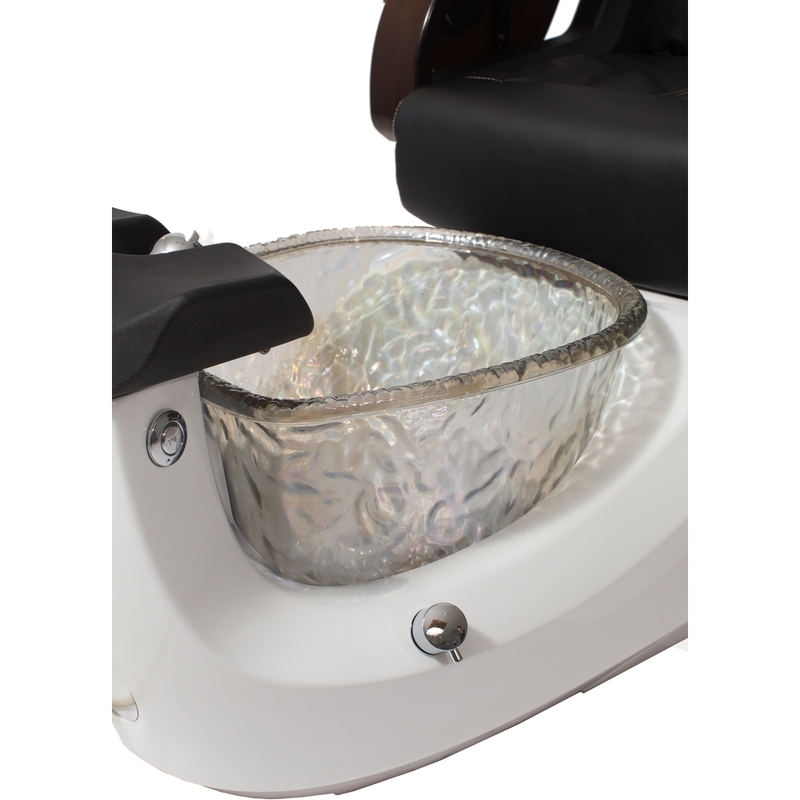 A heat-treating process gives the glass bowls a special reflective/glimmering appearance…A built-in multi colored LED light further enhances the aesthetic look. 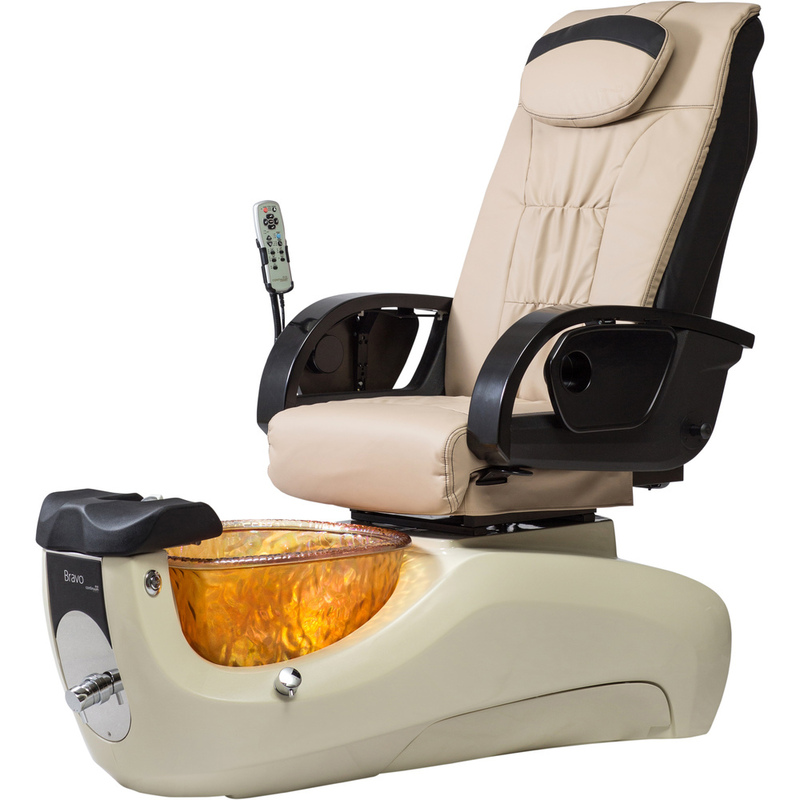 Continuum pedicure spas are designed, engineered and assembled exclusively in the United States. 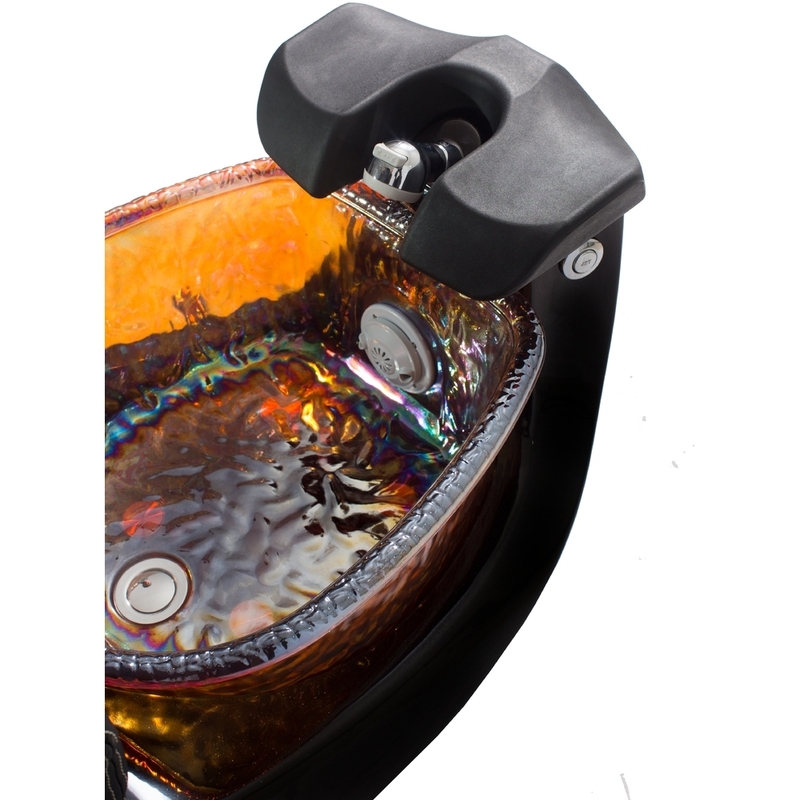 Each pedicure chair is inspected and tested by a certified master plumber prior to packaging. When you purchase a Continuum pedicure chair you're assured a high quality pedicure chair built to last. 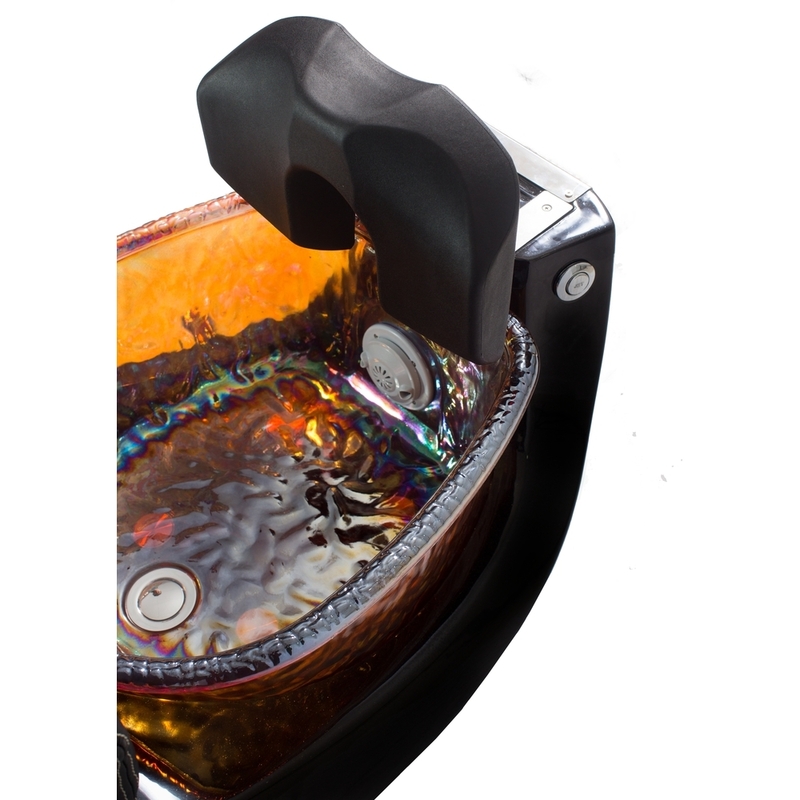 The easy access tech control button is a comfortable way for nail technicians to reposition guests. Adjust the forward/backward and tilting positions of the chair with the touch of a button. The chair will automatically stop when fully tilted, upon full forward/backward, or when the movement button is released. This is a standard feature on the LE chair. Do you want this feature but have already purchased your LE chair? 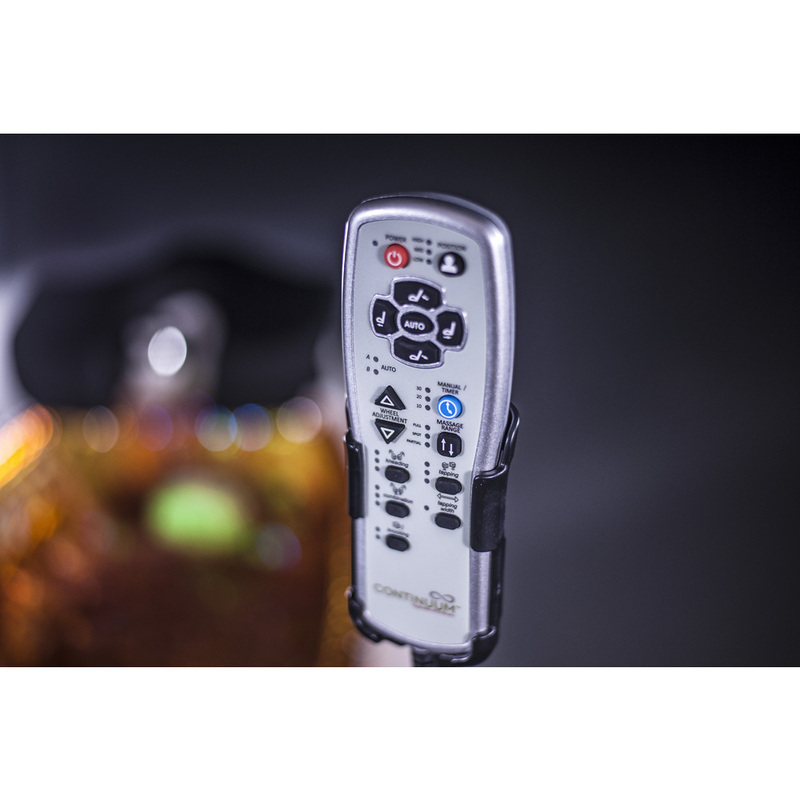 The tech control button is also available as an after-sale item at an affordable price. Notes: Continuum products are made to order. Actual shipping costs may vary from those shown at check out. We will contact you if any adjustment is required... or call us at 800-434-0018 and request a shipping quote... ask about curbside delivery, inside delivery and white glove delivery options!